Come on guys, grab an apron! 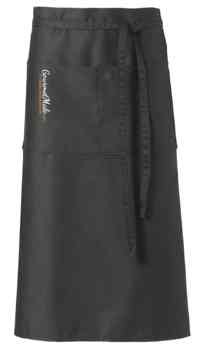 Is there a better way to celebrate your support for GourmetMale.com than picking up one of our new aprons? And it says to the world, "Hey, I CAN cook!". They are coming soon. Shoot us a note via our "contact" page if you'd like to pick one up.